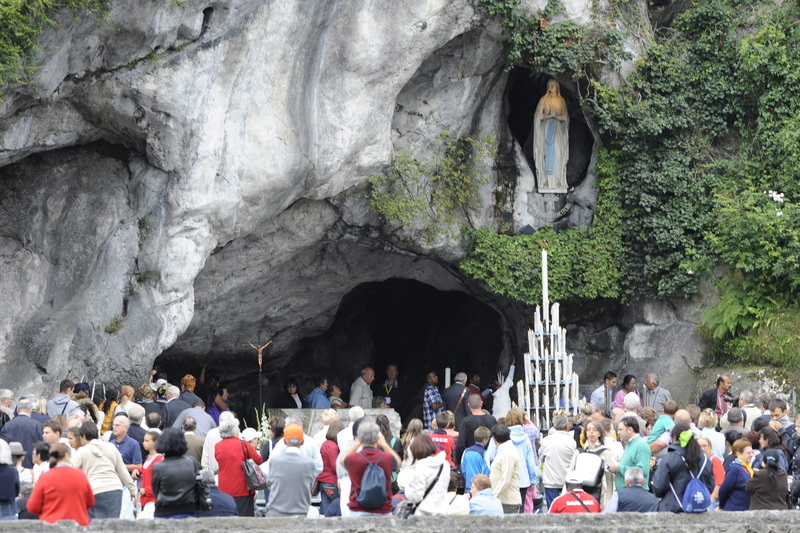 ROME (CNS) -- As the Catholic Church celebrated the feast of Our Lady of Lourdes, a French bishop announced the 70th officially recognized miraculous cure of a pilgrim to the Lourdes grotto where Mary appeared 160 years ago. Bishop Jacques Benoit-Gonnin of Beauvais formally declared Feb. 11 "the prodigious, miraculous character" of the healing of Sister Bernadette Moriau, a French member of the Franciscan Oblates of the Sacred Heart of Jesus, who had been partially paralyzed for more than 20 years despite repeated surgeries to relieve pressure on the nerve roots of her lower back. In November 2016, the International Medical Committee of Lourdes confirmed the nun's "unexplained healing, in the current state of scientific knowledge." But it is up to the bishop, not the physicians, to declare a healing miraculous. In November 2016, the International Medical Committee of Lourdes confirmed the nun's "unexplained healing, in the current state of scientific knowledge." Lourdes, close to the Pyrenees in southern France, attracts millions of visitors each year and has been a place of pilgrimage since St. Bernadette Soubirous reported the first of 18 visions of the Virgin Mary while gathering firewood in February 1858. To be declared miraculous, cures must be "found complete and lasting," involving a "serious illness which is incurable," and must involve a sudden "indisputable change from a precise medical diagnosis of a known illness to a situation of restored health." Sister Moriau, now 78, made her pilgrimage to Lourdes in 2008, the 150th anniversary of the apparitions. She had experienced lower back pain, the first symptom of her disease, in 1966 at the age of 27. Four surgeries did not stop the progressive worsening of her neurological deficits. "This pilgrimage was for me a source of grace," she said in a statement posted on the website of the Diocese of Beauvais. In the cave where St. Bernadette reported seeing Mary, "I felt the mysterious presence of Mary and little Bernadette." She said she went to confession and received the anointing of the sick during the pilgrimage. "In no case did I ask for healing, but only for the conversion of heart and the strength to continue my journey as an invalid." A few days after returning to her convent, she said she felt unusually relaxed and she experienced warmth throughout her body. Sister Moriau said an inner voice asked her to remove the rigid corset that helped hold her erect, the splint that kept her foot straight and the neurostimulator she used for pain control. She began walking unaided and without pain. Before her case went to the International Medical Committee of Lourdes, she underwent batteries of tests and examinations, which were studied by committees of the Lourdes Medical Bureau in 2009, 2013 and 2016.